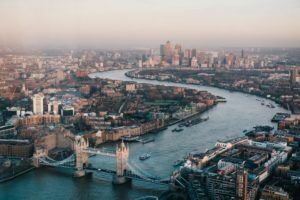 After the U.K.’s medical cannabis market opens in the fall, it will immediately become one of the largest in Europe. The surprise move by the Home Secretary will make cannabis-derived medical products available to a wide portion of the U.K. population, though the government is still deciding what products will be available. The Department for Health and Social Care and the Medicines and Health Products Regulatory Agency plan to develop “a clear definition of what constitutes a cannabis-derived medicinal product” so they can be rescheduled and prescribed. “Following advice from two sets of independent advisers, I have taken the decision to reschedule cannabis-derived medicinal products – meaning they will be available on prescription,” Home Secretary Sajid Javid said in a news release. Approved medical cannabis products will be covered by the country’s National Health Service. “This is a significant step. With a population of 65 million people, it’s a massive potential market for medical cannabis,” said international medical cannabis expert Deepak Anand. “The U.K. has also been the largest exporter of medical cannabis in the world, despite not having a regulated federal medical cannabis program. How and if they use that to their advantage is yet to be seen, but they are certainly well positioned to take it on,” said Anand, also vice president of the consultancy Cannabis Compliance. Only approved products will be rescheduled. “It is unlikely that they will restrict medical cannabis in the U.K. to a limited number of derived products that require full pharmaceutical trials, and this is only positive for businesses,” said Stephen Murphy, managing director of Prohibition Partners in the U.K. Prohibition Partners estimates that by 2028 the medical cannabis market in the U.K. will be worth 8.8 billion euros ($10.2 billion). Last month, the U.K. embarked on a full review of the medical benefits of cannabis, signaling the potential for a major regulatory shift. The first part of the review concluded there is evidence that medical cannabis has therapeutic benefits. The second stage of the review – by the Advisory Council on the Misuse of Drugs (ACMD) – reached the same conclusion. The ACMD suggested any products meeting a clear definition of what constitutes “a cannabis-derived medical product” should be placed in Schedule 2 of the Misuse of Drugs Regulations 2001. Medical marijuana is currently classified in the U.K. as a Schedule 1 drug, meaning it cannot be practically prescribed or supplied to patients. A special license is required from the Home Secretary for researchers and patients to access medical cannabis. GW Pharmaceuticals (Nasdaq: GWPH) has the only cultivation license in the U.K. It is a major development and a really great success for medical cannabis. The actual extent of the future UK market will depend on several factors, such as the promised definition of what constitutes a “cannabis-derived medicinal product”. Furthermore, these products should be placed in Schedule 2 of the Misuse of Drugs Regulations 2001, along with amphetamines, cocaine and opioids, while Sativex, the first licensed cannabis-based medicine in the UK is included in Schedule 4 part 1, along with most of the benzodiazepines. The controls for drugs in Schedule 2 are more strict than for drugs in Schedule 4. In addition, it should not be taken for granted that the costs of all “cannabis-derived medicinal products” will be automatically covered by the UK National Health Service. Sativex, for example, was ruled not to be sufficiently effective for its high price and, therefore, it is not provided on the NHS in England and Scotland. There is a limited availability of Sativex on the NHS for the MS sufferrers in Wales. The coverage of the medical cannabis products by the NHS will be a key factor in the UK, as it is in other countries in Europe. Despite these cautions, it is a great step forward in making medical cannabis available to patients in Europe!